Looking for cheap eats in Orange County? 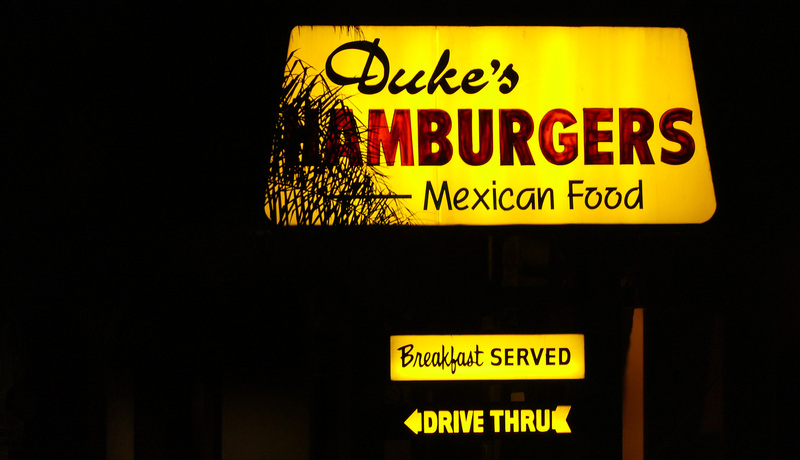 My go-to burger place is Duke’s, on the corner of Fairview and Warner in Santa Ana. The burgers are actually so-so, but the fries range from good to fantastic, depending on how the cook is feeling. This adds a nice frisson of anticipation every time I go there. Will it be a good fries day or a great fries day? There’s only one way to find out! NOTE: I have received no compensation from, nor do I hold any equity stake in, The Duke’s Corporation or any of its subsidiaries or affiliates. I just like their fries.